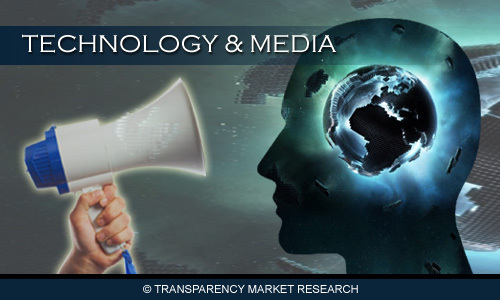 According to a new market report published by Transparency Market Research "Global LTE (LTE-FDD, TD-LTE and LTE Advanced) Market - Global Industry Analysis, Size, Share, Growth, Trends and Forecast, 2013 - 2019" the global LTE market is expected to reach a value of USD 610.71 billion by 2019, growing at a CAGR of 78.6% from 2013 to 2019. Increased need for higher data rates and greater spectral efficiency driven by increased data usage, rapid deployments of smart devices and need for high quality of services on move are some important reasons driving the growth of LTE market globally. This trend is further enhanced by increased adoption of public safety LTE and planned large-scale adoption of LTE by operators in Asia Pacific. North America was the largest market in terms of revenue generation in 2012 and accounted for 51.3% share of the total LTE market. Asia Pacific is expected grow at a CAGR of 88.7% during the forecast period and register a market size of USD 244.29 billion by 2019. Growth of LTE services in Asia Pacific is mainly spurred by rising LTE infrastructure in China and India. Worldwide LTE infrastructure market is expected to grow at a CAGR of 61.6% during the forecast period. Increased spending by network operators for LTE infrastructure fuelled by increased demand for high-speed and spectrally efficient wireless networks is driving the LTE infrastructure market, globally. LTE-FDD (Long Term Evolution Frequency Division Duplex) held 56.8% share in 2012. With planned launch of LTE Advanced by several operators during the forecast period, the market for LTE Advanced is expected to grow at a CAGR of 175.0% from 2013 to 2019. The Voice over LTE market is expected to grow at a CAGR of 123.5% during the forecast period. Growth in VoLTE is fuelled by increased demand for voice and messaging services over LTE networks and operators realizing that standalone data networks are not sufficient in meeting customer expectations. In terms of geography, North America represented the largest market for LTE and was valued at USD 5.36 billion in 2012. The growing adoption of LTE in North America was mainly spurred by the decreasing prices of LTE in comparison to 3G network. However, Asia Pacific is expected to surpass North America by 2015, owing to growing demand for high-speed wireless data and increased spending on infrastructure by operators in this region, especially, China, India, South Korea and Japan. Among network operators (carriers), Verizon Wireless led the LTE market with a market share of 58.1% in 2012 followed by NTT DoCoMo. Other important network operators include AT&T Mobility, China Mobile, Sprint Corp, T-Mobile, Vodafone and SK Telecom. Among LTE network infrastructure vendors, Ericsson lead the LTE market with a market share of 30.0% in 2012 followed by Huawei.